Katrina Trinko is managing editor of The Daily Signal and a member of USA Today's Board of Contributors. Send an email to Katrina. The attention on The Daily Signal’s Fred Lucas’ role as occasional White House pool reporter has made one thing very clear: For many, the illusion still remains that the mainstream media is unbiased. Yet while many mainstream media outlets may not be “clear”—that is, transparent with their readers—about their perspective, there’s no doubt they indeed have a perspective. 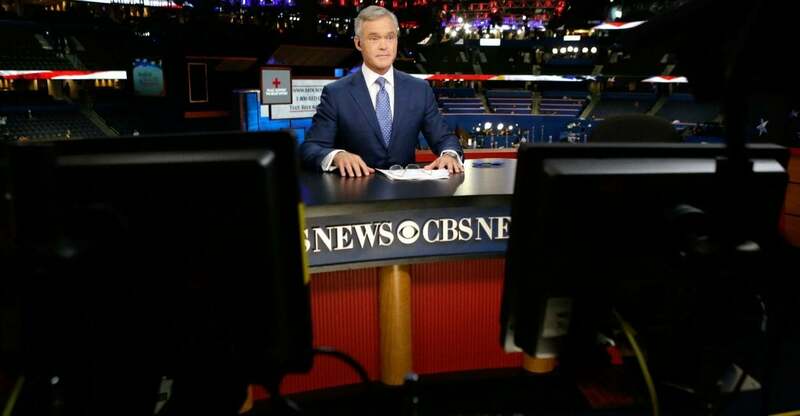 96 percent of the donations given by journalists in the 2016 presidential election as of August were to Hillary Clinton, according to the Center for Public Integrity. 7 percent of journalists identify as Republican, while 28 percent identify as Democrat, according to an Indiana University School of Journalism study conducted in 2013. “Of the major newspapers that endorsed either Clinton or Trump, only 3 percent (2 of 59) endorsed Trump,” noted FiveThirtyEight’s Nate Silver. Or what about the “quite the ruckus among reporters and editors” that ensued, per a Journal source to Politico, when Wall Street Journal Editor-in-Chief Gerry Baker raised concerns about his newspaper’s use of the words “Muslim-majority countries” to describe the countries targeted in Trump’s executive order? No editorial justification? How about the fact that, as the Trump administration pointed out, over 40 Muslim-majority countries weren’t affected by the ban? Whatever you think of its other pros and cons, to consider Trump’s executive order a Muslim ban—which is what is suggested when reporters call the countries Muslim-majority without very soon before or after acknowledging the security concerns about those countries—is not supported by the facts. Sisk is a former political appointee in the Obama administration and also worked as an aide to former Sen. Mark Udall, a Democrat from Colorado. Both newspapers are also spending more to cover the White House. The Washington Post and The New York Times have doubled down on investigative journalism, with The Post staffing up for a quick-strike investigative team and The Times hiring Pulitzer Prize-winner Michael LaForgia and Livingston Award-winner Ellen Gabler from regional newspapers. Beyond investigative reporting, both are coming up with new ways to cover the presidency—The Washington Post by launching a podcast dedicated to examining the bounds of President Trump’s authority and rejiggering its beats and The New York Times by pouring $5 million into examining the effect of the Trump White House on the broader world. Great! The White House should face media scrutiny. But where was this enthusiasm when Obama was in office? To be clear, I’m not saying that mainstream media journalists are intentionally slanting the news. Most of them seem to want to be objective. However, the scarcity of conservatives in mainstream media newsrooms probably helps contribute to that bubble effect Silver mentioned: It’s easy to be unaware of your own assumptions and biases when they’re never or rarely challenged. And it might indeed be better for our country if there were a substantial number of press outlets that were truly not perspective-driven at all. But the reality is that the mainstream media is not objective. Instead, it merely refuses to be honest about its own perspective. The Washington Blade, which certainly has a perspective on LGBT rights, did a White House pool report this month. Liberal outlets such as Huffington Post and Talking Points Memo (as well as conservative outlets such as The Daily Caller) were also slated to do pool reports in March. Perhaps one of the most telling signs of the media bias is that the alarm and consternation arise when an outlet on the right, not one on the left, does a pool press report—especially when there has been no criticism of Lucas’ actual pool reports that I’m aware of. There’s a lot of problems with news reporting in our nation today. But the mainstream media’s hand-wringing over it will gain credibility only when the mainstream media becomes clear-eyed about its own biases and problems. 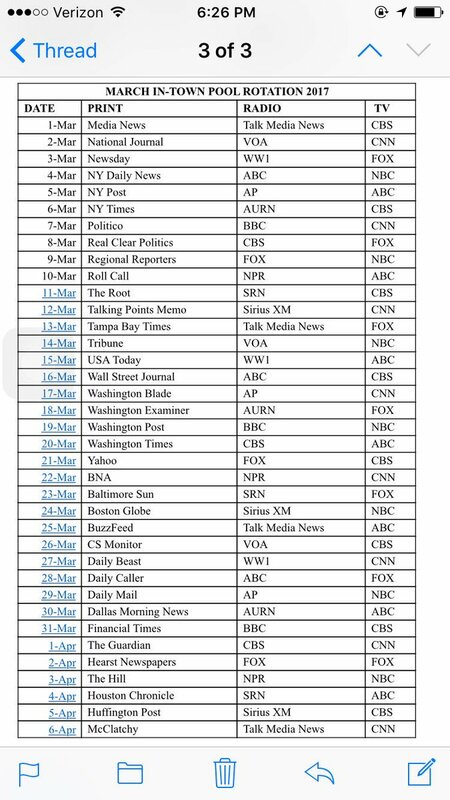 Other outlets covering wh pool in March: huffpo & talking points memo. So why focus on daily signal?